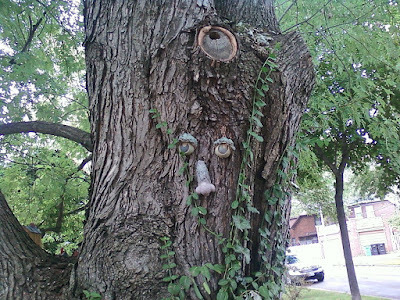 Tree People and Tree Faces to give your trees personality! 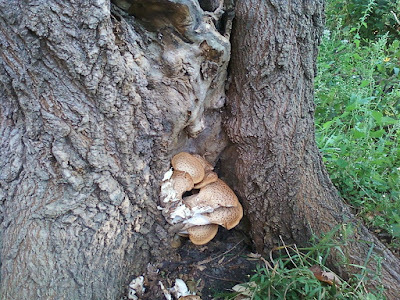 Nature decorated this tree with a natural gnarly face... Well, I see some kind of face right at the top of this picture.. Do you see it? Today it looks more like a dog. Below, from eBay, here's Whistlin' Pete and a there's a whole family of Tree People at the Genuine Tree People : Whistlin' Pete, Dagwood, Simon, Mr. and Mrs. Mapleshade, and Old Man Winter are high quality, original designs handmade by a Texas artisan. 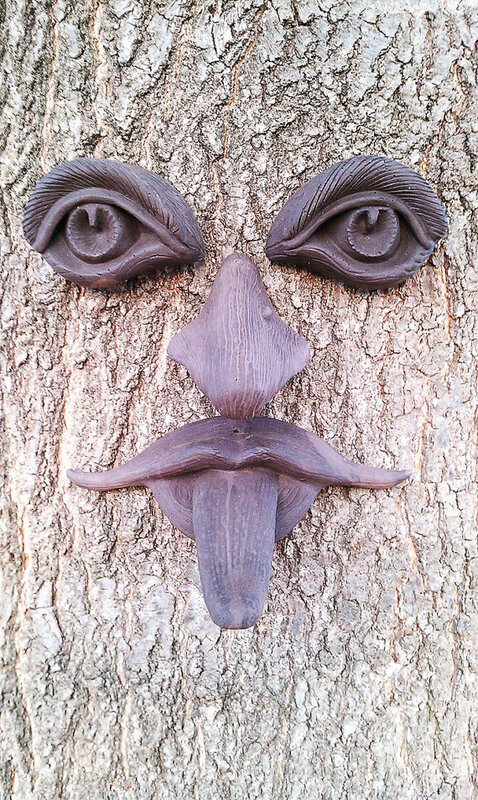 Then there's The Joker over at Etsy; this is the first in a series of tree faces by Oklahoma artist Kendall Howerton. 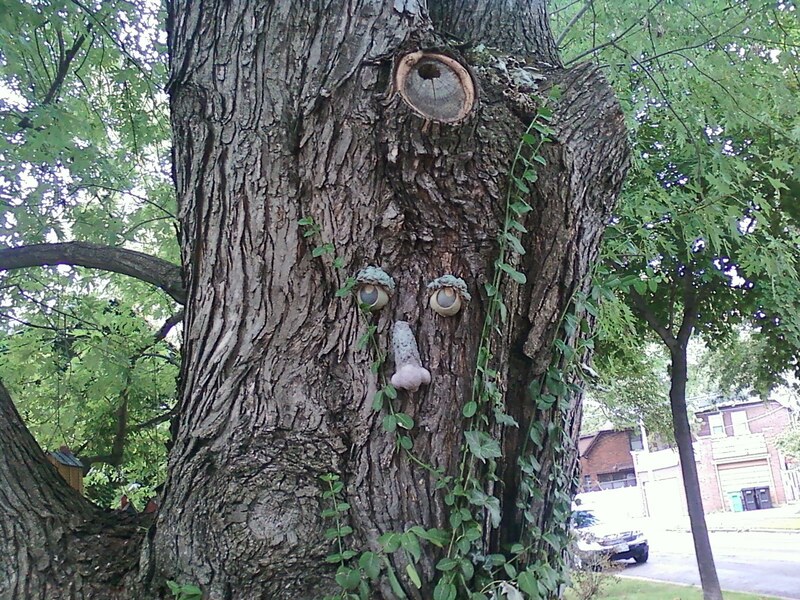 This tree face sticks his tongue out at your neighbors and friends. 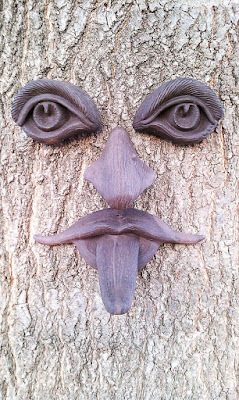 The artist says that this tree face can be customized to meet the diameter of your tree or it can be cast to be attached to a flat surface such as a fence. Again, more information and purchasing information for the Joker HERE..
A good note on which to end tonight ... Check tomorrow for a completely whimsical yard. Dozens of birdhouses and friendly frogs.. The tree face in the second picture above keeps watch over the riotous happenings.